In addition to a long-standing tradition of excellence in jazz studies and performance, Cornell University is home of the largest jazz program in the Ivy League. Our expert faculty of performer-pedagogues and internationally-recognized guest artists work closely with both graduates and undergraduates from all disciplines. This creates a rich socio-academic experience by providing a place to listen, study, perform, learn and grow. 2018-19 programs include guests like alto saxophonist Vincent Herring and trumpeter Ingrid Jensen in addition to a provocative project on jazz and John F. Kennedy and a concert of modern music by women composers. 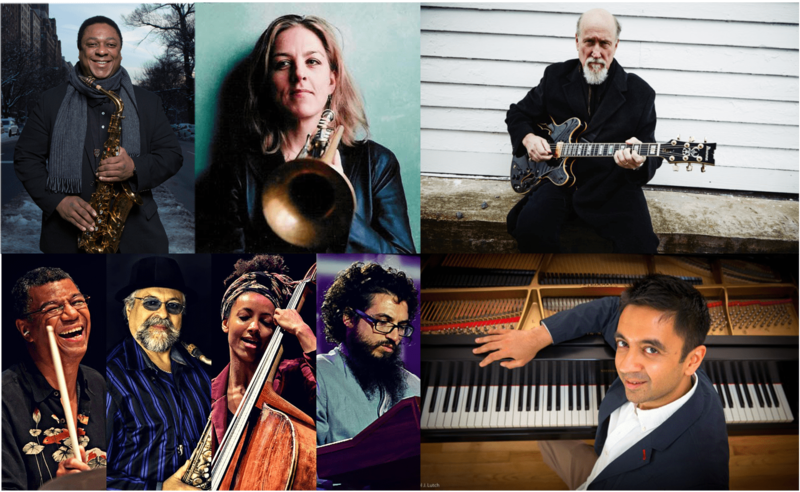 Esperanza Spalding, Joe Lovano, Jack DeJohnette John Scofield, and Vijay Iyer all perform on the Bailey stage in various configurations in a remarkable jazz line-up by the Cornell Concert Series. Wynton Marsalis continues to serve as the A.D. White Professor-at-large and we anticipate another week-long visit in the near future.